On January 1, 1863, some 3 million people held as slaves in the Confederate states were declared to be &#8220forever free.&#8221 Of course, it wasn’t that simple. Most of those 3 million people were still subjugated until the Union Army swept away the final Confederate opposition more than two years later. And slavery was not abolished in the entire United States until after the Thirteenth Amendment to the Constitution passed in 1865. Lincoln’s act was rooted in practical wartime necessity, to be sure. Those 3 million people represented an important human resource, as did free black men and women in the North. Eventually, some 200,000 blacks served in the Union Army and Navy, and helped to give the North an upper hand in the war. However, there is no question that Lincoln’s act was the result of what we would call today a grassroots, citizens’ campaign against slavery, a campaign that was waged in small towns and meeting houses and churches all over this country. The idea that ending slavery was the right thing to do didn’t come without a struggle. The struggle was carried out in Plattsburgh and Peru and Keeseville, in Jay and Keene and North Elba, in countless communities throughout the North Country, where individual people took a stand against slavery. It wasn’t only John Brown and his sponsor Gerrit Smith, important as they were, who fought to bring about this moral revolution. Wendell Lansing, crusading publisher of the Essex County Republican, Stephen Keese Smith and Samuel Keese, Underground Railroad leaders in Keeseville and Peru, Noadiah Moore, of Champlain, who helped escapees near the Canadian border, and countless other North Country citizens advanced the cause of abolition. Women circulated petitions to Congress advocating the end of slavery in the nation’s capital, congregations debated whether to stay connected with any churches that refused to condemn slavery. 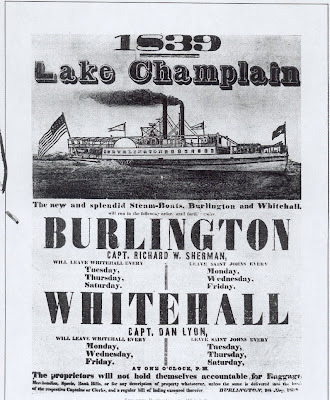 And many families now forgotten to history risked arrest and imprisonment by willfully disobeying the Fugitive Slave Law and helping former slaves escape into freedom, along the Champlain Line of the Underground Railroad, to Canada, and to safe havens in the North Country and in Vermont. 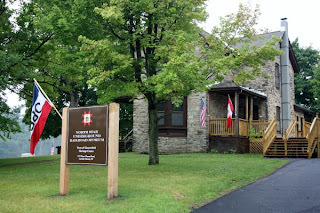 Many of those stories are now being told at the North Star Underground Railroad Museum at Ausable Chasm. This 150th Anniversary of the Emancipation Proclamation connects directly to our own history right here in New York and demonstrates how it was that many people played a vital role in the struggle for freedom. Freedom among each one is one of the greatest treasure that our ancestors left. Let us all take care of this freedom for the next generation to continually enjoy.